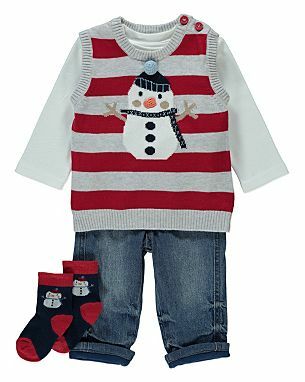 Christmas bargain from Asda – Add a festive feel to your baby’s wardrobe with this 2 layer top and jean combo. Lambswool Scandinavian style Fair Isle knit. Limited edition maternity t-shirt. Cotton and lycra t-shirt that grows with your bump.